Hoshine Stella append Whisper release! Well i finally remade this song with her ACT2. Enjoy! 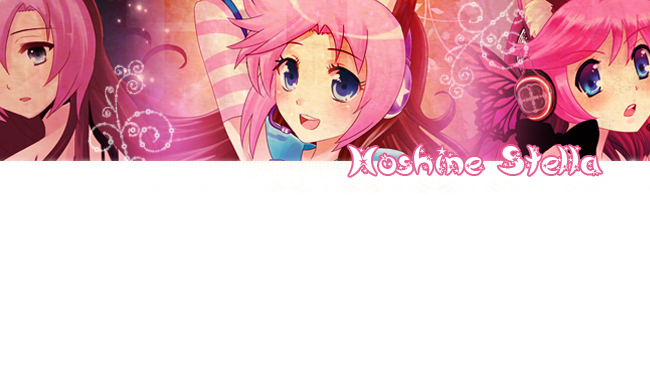 Description: Hoshine Stella is the first UTAU character created by me, spanish artist Felicia Val. It is believed that she is an 'starchild', who travelled among the universe fighting for her dream to come true: to sing. The starchilds are usually part animal, she is half-cat. She is a cheerful and kind girl, who likes to help others, but can get mad or angry very easily (this doesn't happen often). She is a bit shy sometimes and likes to sleep a lot. For free distribution and non-comercial use! Also, if you make her sing, please link me back to the video or song so I can check it! Description: Spark Enjel is an angel that came from Heaven looking for someone or something. He is friendly and cheerish and always has a smile on his face. He loves to sing as well. There is not very much information about him because he seems to be very mysterious. He has white wings, but he usually hides them. He is voiced by me (Felicia Val). Spark can sing mostly in japanese, but I think with a bit work he can sing in Spanish, English or any other language. Also, if you make him sing, please link me back to the video or song so I can check it!